Under this research category you can find all theoretical- and field research contributing to the project Politics Of Change (POC). Articles cover as well the social, ecological, historical, economical and political aspects of changes made by small communities. Displayed on this page are the 10 most recent posts contributed to the topic. For a complete overview of all posts per subtopic of research, please navigate to- and check the relevant category. 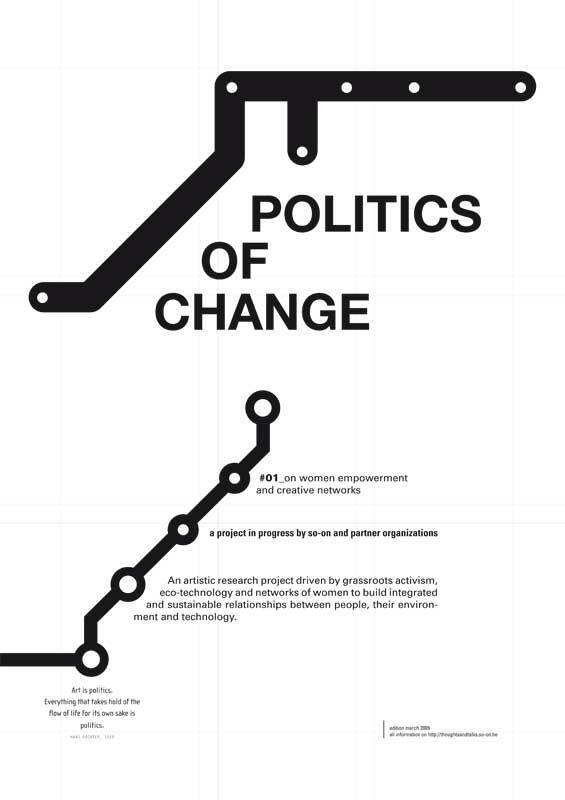 Politics of Change is a research project in which artists, theorists and activists reflect on innovative ideas, contributions and solutions which support distributed and grassroot structures. This reflection takes place through a program of free discussion and dialogue and is documented in a multimedia archive-installation. The focus is on the role of women at the core of these communities. Technology is a valuable input for social transformation, but the most important force is human agency and creativity: the microlevel initiatives and everyday activities of real human beings. In following interviews the Barefoot Solar Engineers talk about their visions, methods and sources of inspiration to shape their future and bring social transformation. The training is non-structured and informal, incorporating on-the-job learning while earning.